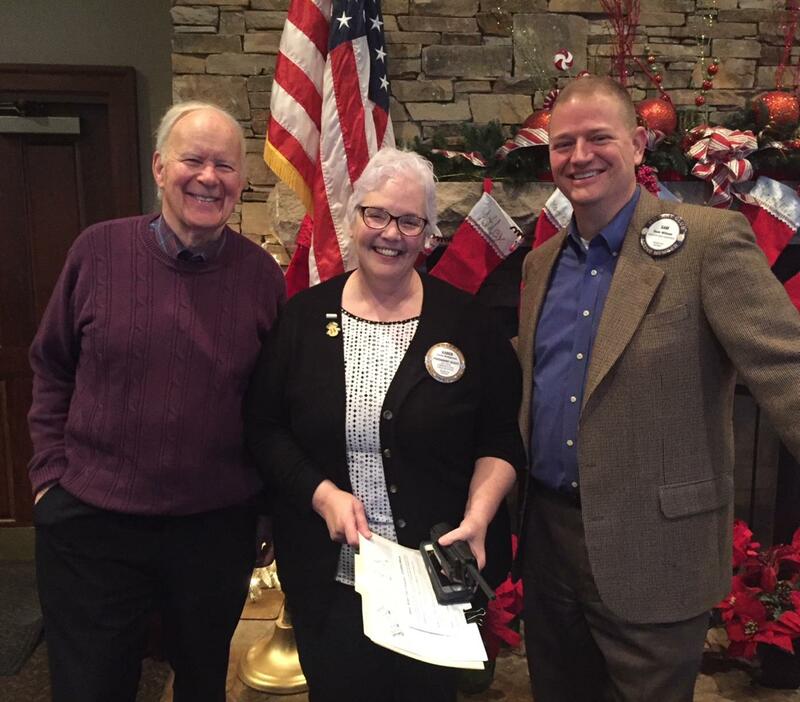 Halfway through the current Rotary year, the Braselton Rotary Club has elected its leaders for next year. Karen Bridgeman will serve as president of the club for 2018-19. Sam Wilson was chosen for president-elect. Alex Pace was re-elected as secretary of the club for next year and Mitch Chapman was chosen for treasurer. Paul Maney (left) celebrates with Karen Bridgeman (middle) and Sam Wilson (right). Bridgeman was recently elected as the Braselton Rotary Club president for 2018-19 and Wilson was chosen as president-elect.